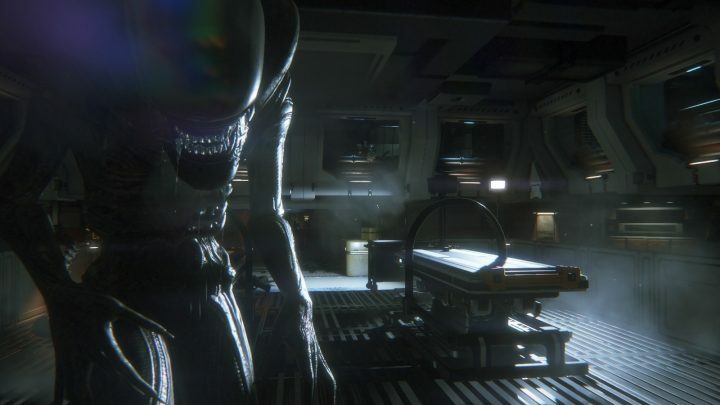 A new Alien game could be on its way if the teases and speculation point out to be true. Over the past couple of Days, Geoff Keighley, producer of the Video Game Awards, tweeted out a peculiar tweet that sparked a lot of speculation. The tweet, which you can see down below, states that Worlds Will Change. Nothing particularly weird about that, but it is weird that the W is emphasized similar to the Weyland Corporation. It almost shares the same sort of mantra as the Alien Weyland which states Building Better Worlds. Things really start to heat up as Kojima enters the fold. Recently Hideo Kojima visited 20th Century FOX, the studio behind the Alien franchise. Now not only did Kojima take a picture with an Alien egg but Keighley jump into via The Game Awards twitter to state Worlds Will Change. The same thing he tweeted about the days prior, presumably linking to the two together. PlayStation LifeStyle then went on to report that Alien Blackout has been filed for trademark at the World Intellectual Property Organization (WIPO) website on November 22, 2018. This all seems to be coming together, a new Alien game could possibly be getting revealed as soon as next week. Only time will tell. An Alien-themed game could be on its way so make sure to keep your eyes peeled to Gameranx as will be bringing you live updates from the awards show next week.